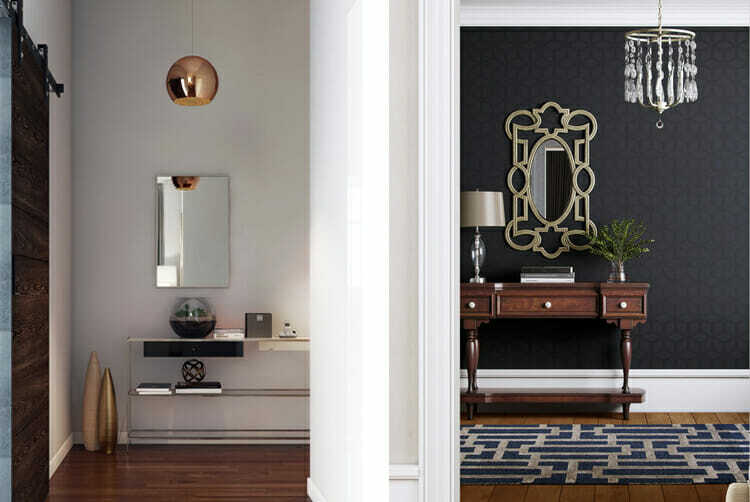 Making a first impression for your home is important and entryway decor can help you succeed. The entryway is a space of great use and importance but sometimes it is underestimated. We put all our energy into the living room and dining area but clearly the entry hall or foyer is the first space that we see when we come home and where we welcome all our guests. Thus, if you want to make a good first impression and also enjoy your home the moment you get in, this is the space to focus on. 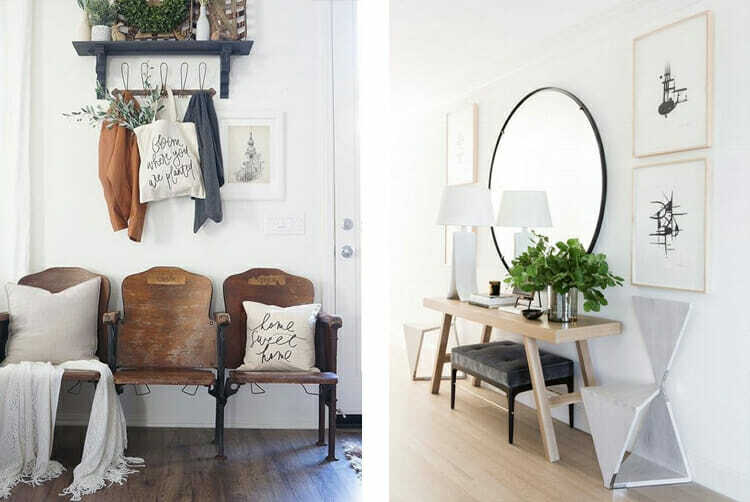 Here are the top tips for entryway decorations that will wow your guests! There isn’t a typical kind of entryway. 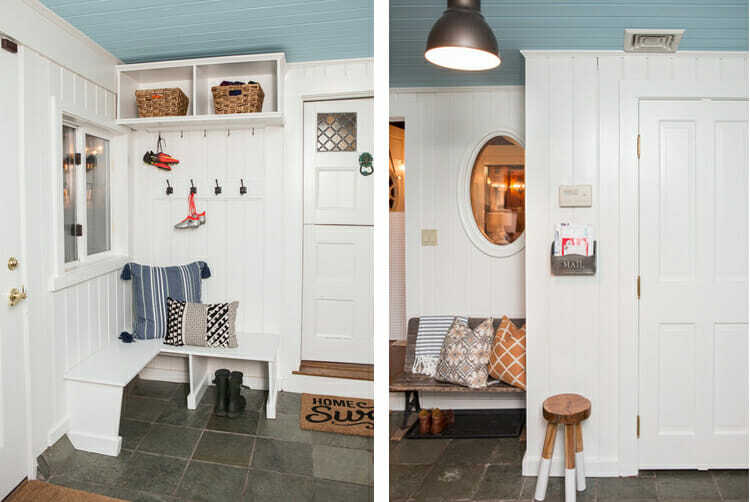 Call it entryway, hallway, entry hall, foyer, mudroom, entry or entrance, style and name often depends on the size of the room and the arrangement of space. 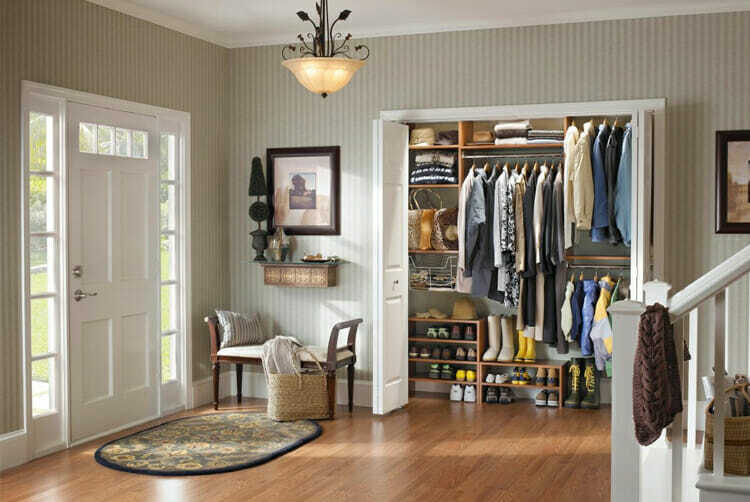 An entry hall can be a separate room or a small space by the entrance door or even a part of the living room. 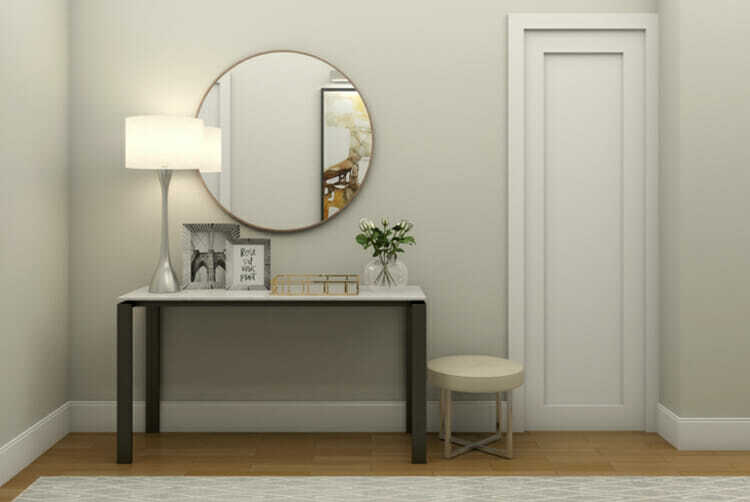 Whatever the size or the name, the Decorilla team is fortunate enough to work with savvy designers who know just the right tips to make entryways that impress. Here are a few. Entryway Design by Decorilla Designer, Michelle B. 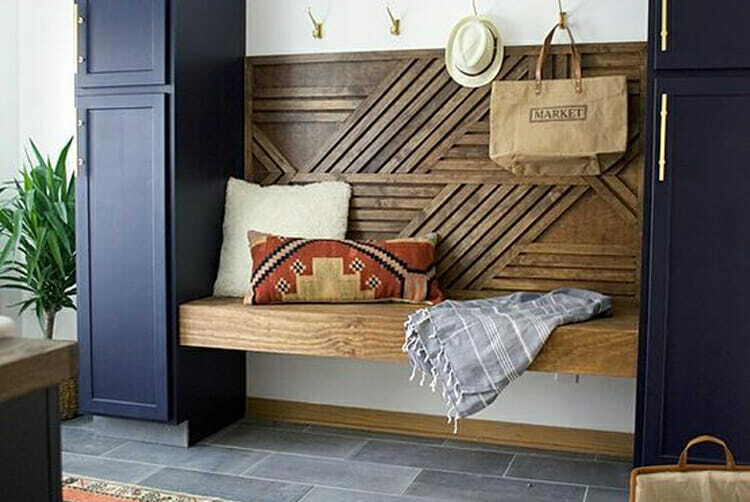 Surprise your guests with entryway decor that they don’t expect to see at the hallway or with something that is really catchy and impressing. This can be a large chandelier, an extra large wall art piece or a glamorous large floor mirror. The “wow” feeling can be also created with more permanent choices such as a wallpaper or interesting floor tiles. This is the room where you can be risky and make some noise! Entryway Designs by Decorilla Designers, Mlanden C. and João A.
Pendant lighting, lamps and sconces are absolutely necessary in the entrance but can also serve as entryway decor creating a special lighting atmosphere. You can have a chandelier or pendant, a table lamp, a floor lamp, sconces or even a combination of these. A nice ceiling light can always be the answer when you want to impress. For example, a large chandelier can give a dramatic feel to the space, especially when you have a double height entry hall. You can have the same impact even in normal height spaces with a pendant or with a flush mount/ flush mount fixture. Entryway Design by Decorilla Designer, Picharat A. The next common light to use and decorate your entryway with is a table lamp. Table lamps give height or volume into a decorative set up. They can light up a bold wall background or they can be used to give color into the room since there are so many different types and colors to choose from. Entryway Design by Decorilla Designer, Lindsay B. This is mostly for you and then for your guests. It is nice when you get into your house and it feels like home. A favorite item, a written quote, a frame with a family photo or a gallery wall with family photos (why not?) can make your entrance very personal and homey. As for your guests, they may not appreciate the photo of your wedding that much, but they will sure find other things cozy and inviting. 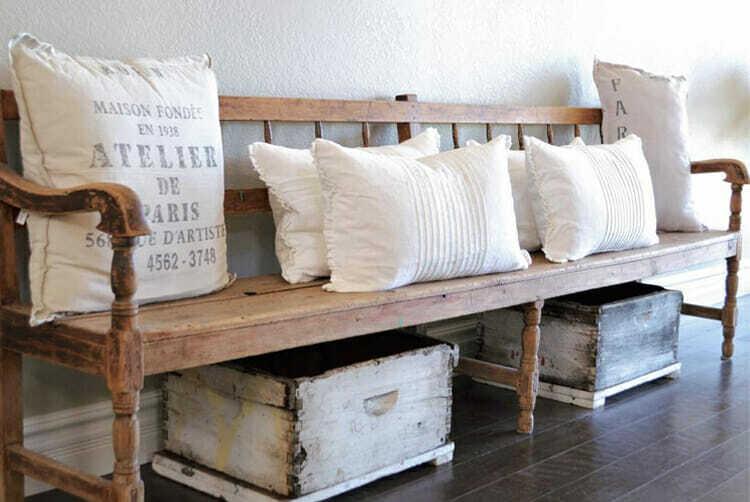 You can try small and comfy pillows on the bench and some flowers in a vase and the whole room will feel welcoming. 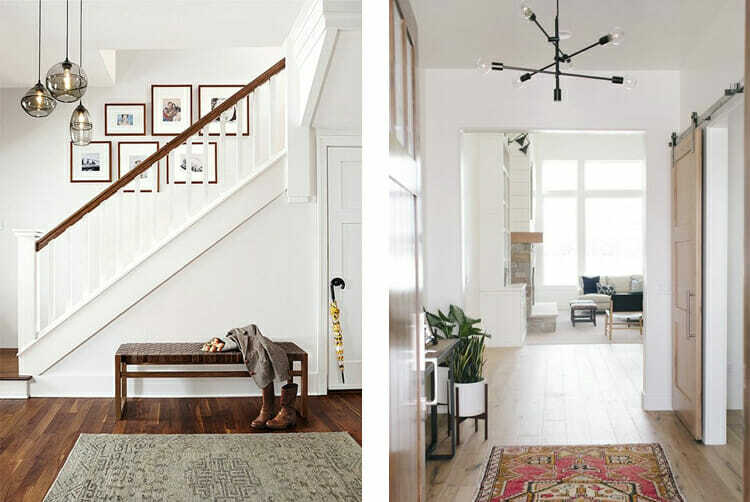 This the A to Z thing that you should have in mind when selecting entryway decor. An organized space is always welcoming and inviting even when not being decorated. If you have clutter, think clever and add some storage to hide it! It is important that you have space to store shoes, bags, coats, umbrellas and anything else you need to take with you when you go outside. This way, you will be able to find them easily, while at the same time your guests will not see a mess when they get in. You can have a storage bench or some good looking baskets, a cabinet or even a closet. Entryway Design by Decorilla Designer, Ibrahim H.
Not every entry hall has enough space for a seating area but when they do, it is great! Practical for those living in the house and inviting for those visiting. 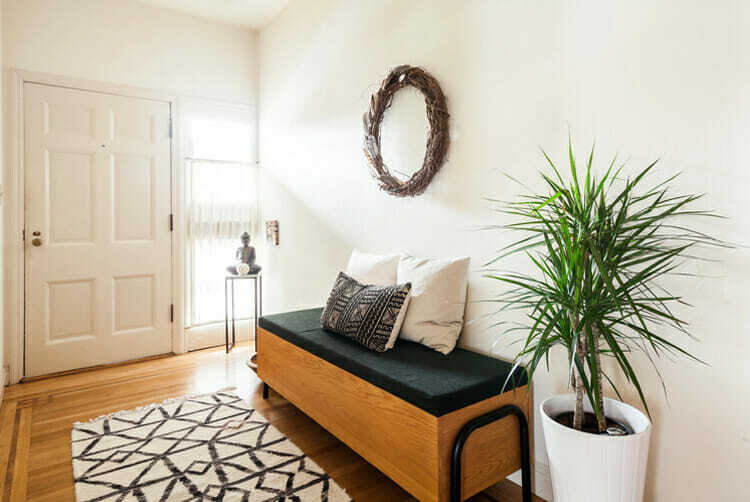 Usually we prefer benches because they don’t need much space but if you have some extra square feet, an accent chair or a love seat would look amazing and add some personality to the room. 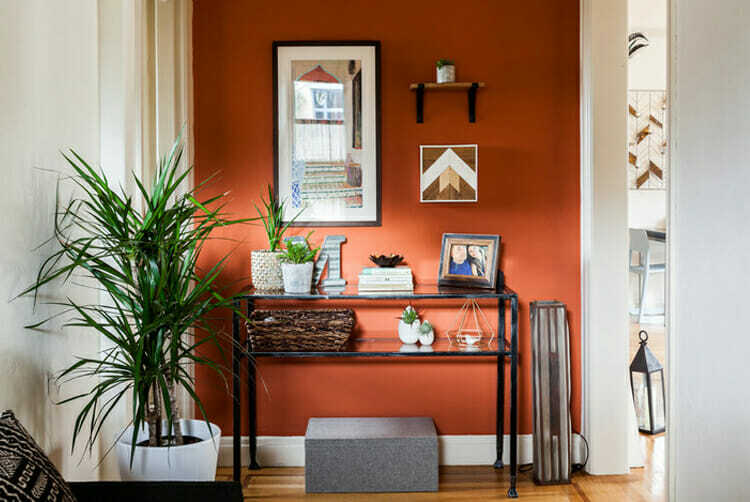 Entryway Design by Decorilla Designer, Christine M.
Don’t be afraid to use bold colors and colors in general. Neutrals are great and can be really amazing, but the entry of your house is the perfect area to try something different. Since you will not spend too much time in the room, you will not get bored or overwhelmed. 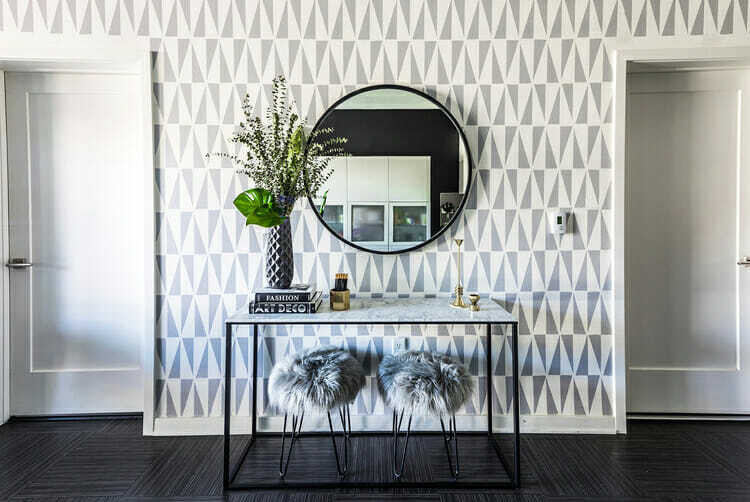 You can even paint a wall red or have a colorful wallpaper with a bold pattern! Nothing is forbidden. You have to add some greenery in the entrance and to other rooms too. Not only because green is the color of the year, but for many other reasons. A plant cannot fail any room. Having something alive and organic goes a long way. 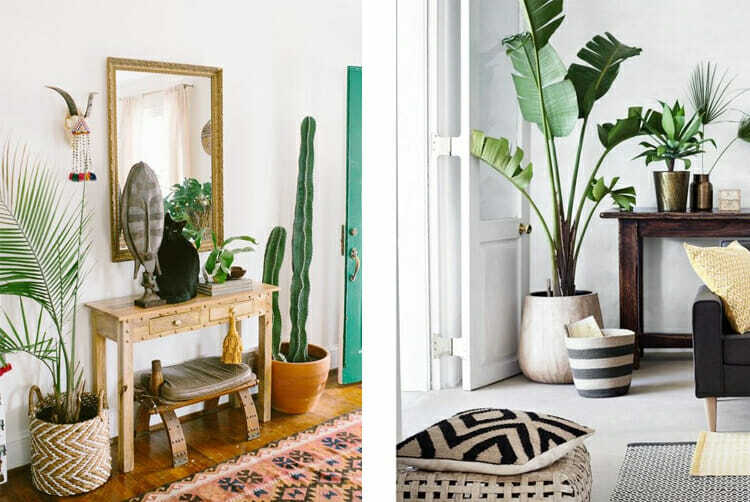 Plants make a blah space look stunning and fresh because of the green leaves. Bring nature into your home and it will match everything. It is not easy to think outside the box for entryway decor. 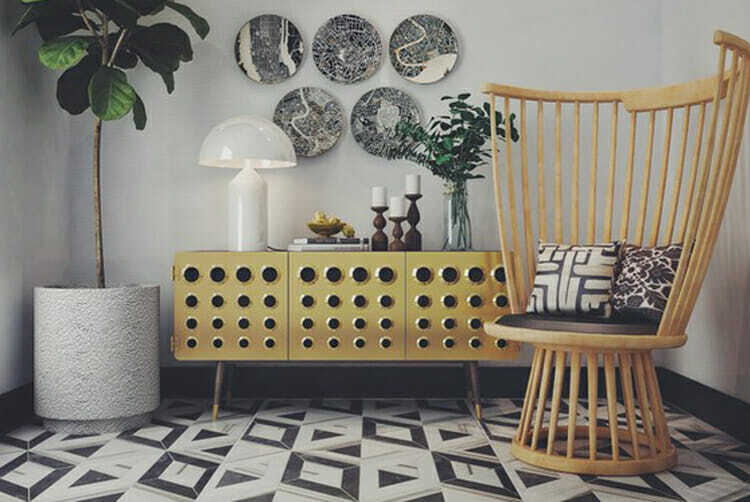 A console table, a table lamp, a mirror, a gallery wall, a bench. We have seen it all. Try to make something from scratch for uniqueness. Re-purpose an old item or give a vintage look to your grandmother’s old console table. You can even try making a sculpture or a DIY construction. These kinds of things will change the entrance atmosphere completely and also make you feel proud for yourself. Flooring is one thing but the rugs is another. Rugs are absolutely necessary in high traffic areas and can make a large impact to the space. 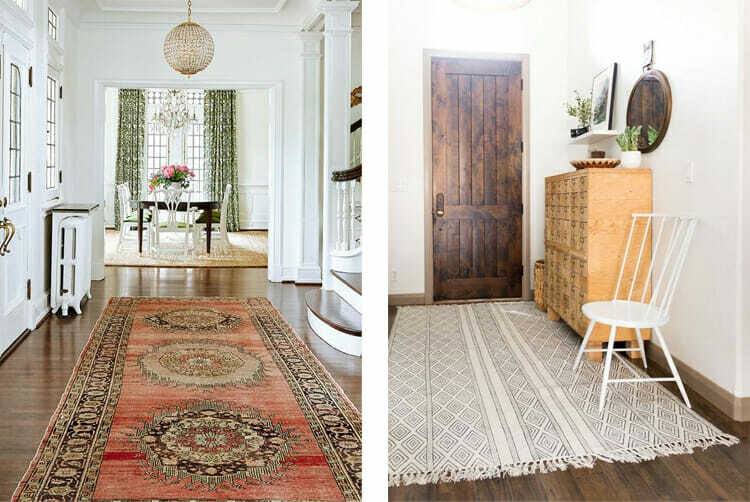 Depending on the shape of the room, we either use runners or round rugs as an awesome accent. 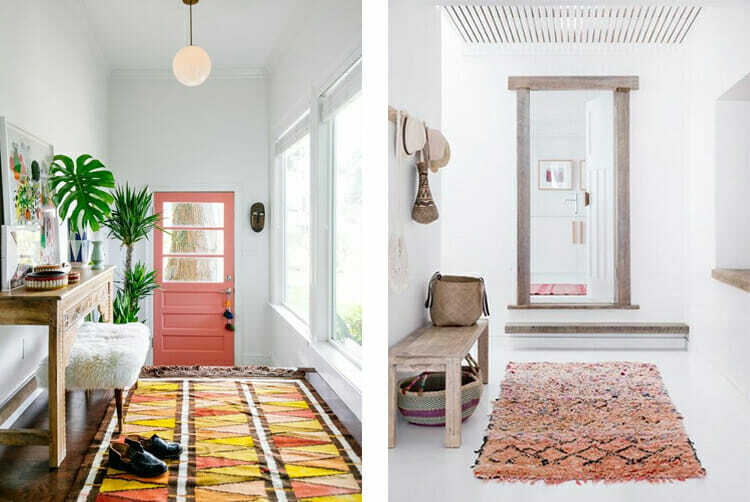 (Tip: Prefer indoor/outdoor rugs because they are more durable.) From traditional to modern, from Moroccan kilims to transitional geometric patterns, rugs can make a statement. Sometimes you really don’t even need anything else to decorate! 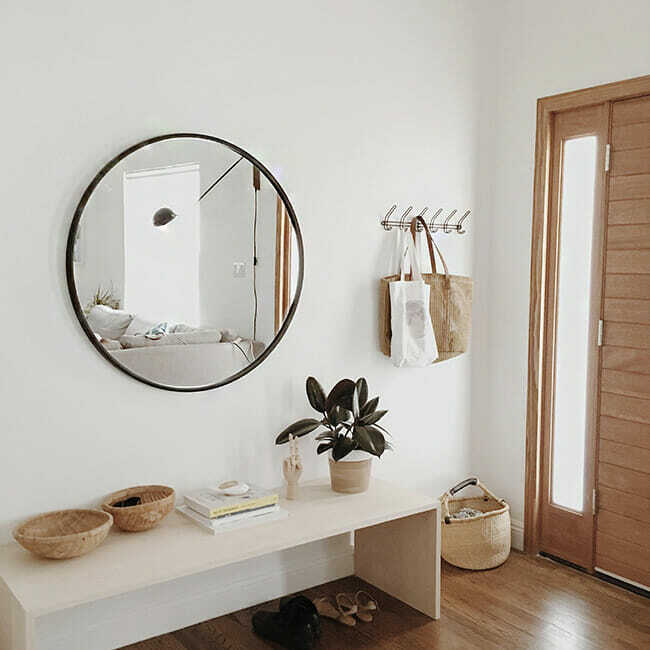 If you feel that this post is not for you because you don’t have enough space for entryway decor or because you only have a wall behind the door, there is decorative hope. 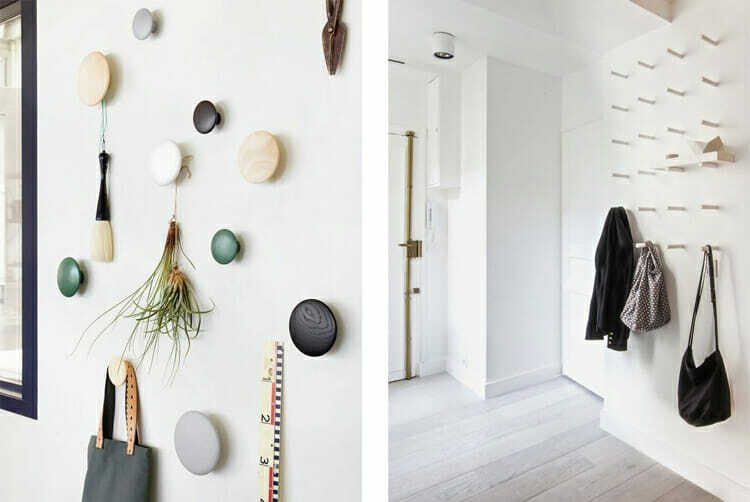 There are so many wall coat racks and hooks that you can select and change your wall in an instant. Small, large, hidden, sculptural or simple, these can make your wall look like a piece of art without any other space available and without any effort. 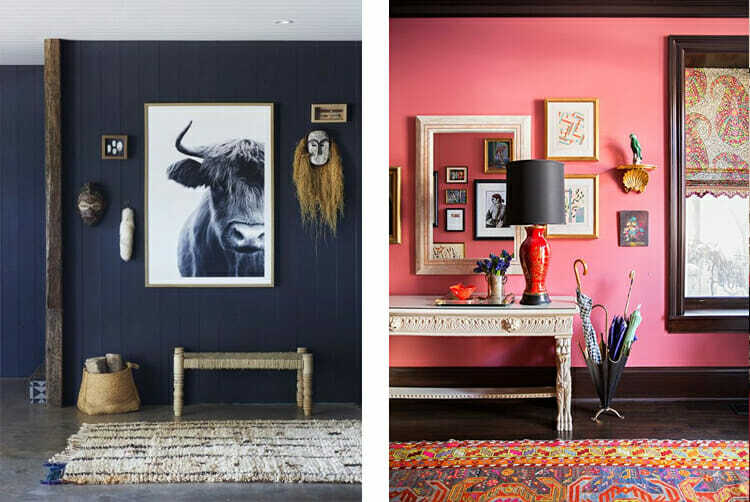 All the above are meant to inspire you and get you motivated to decorate your entryway. You can try one, two or more entryway decor at the same time and impress all your family and friends. 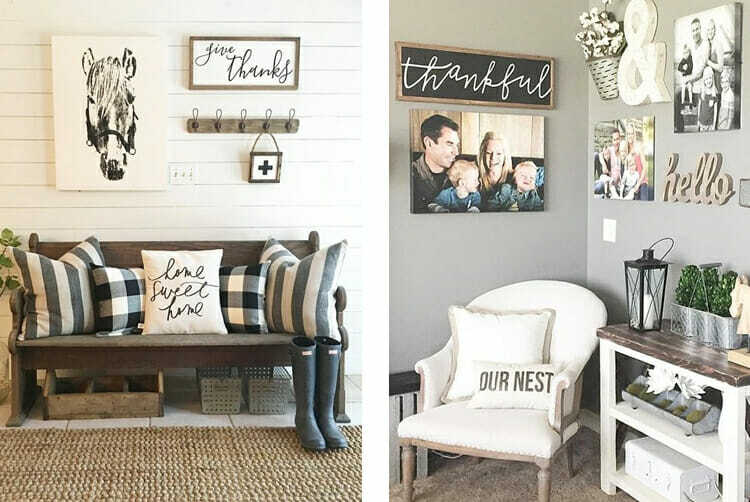 This Country Living post also has more ideas and visuals to motivate. If you feel though that you still need interior design help, don’t worry! Start your entry project now with Decorilla and get all the help you need. Written by Decorilla Interior Designer, Anna T.